Not long ago I wrote a post about my friend Manal and her quest to find a US Marine who had welcomed her and her family to safety in Beirut in 2006. 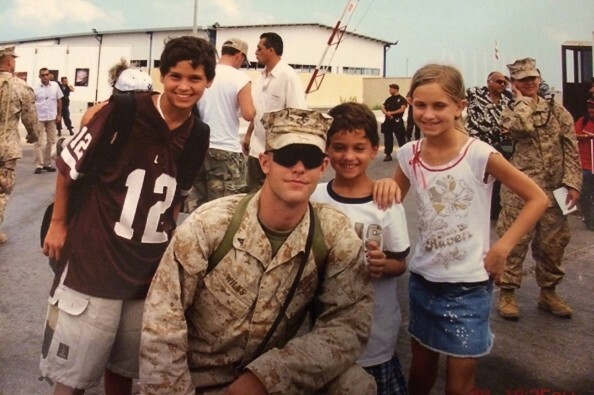 The Marine, a then-Lance Corporal named Wilks, went out of his way to make them feel safe in the US Embassy compound. Manal had always wanted to find that Marine and thank him. She posted the story and picture on her blog, and I went through my military contacts to find him. Within hours, I had the awful news that Corporal Kyle Wilks had been killed in Afghanistan in 2008. Manal was crushed. She posted the news on her blog, and was contacted by several of Wilks’ friends and family. She decided to do something in Wilks’ honor, and has started a fund drive for Toys for Tots, in Corporal Wilks’ memory. If you can spare a couple dollars, please go to the fund drive page and donate. It’s for a good cause, started by a good friend, in honor of a great American. I’ll do that post haste. Thanks for the head’s up, Chris. Thank you so much for the post Chris!! I’ve raised $780 and I won’t stop till I reach my goal of $2000. Well, I tried giving but I don’t know if it succeded. Guess I’ll find out when the credit card bill comes through.